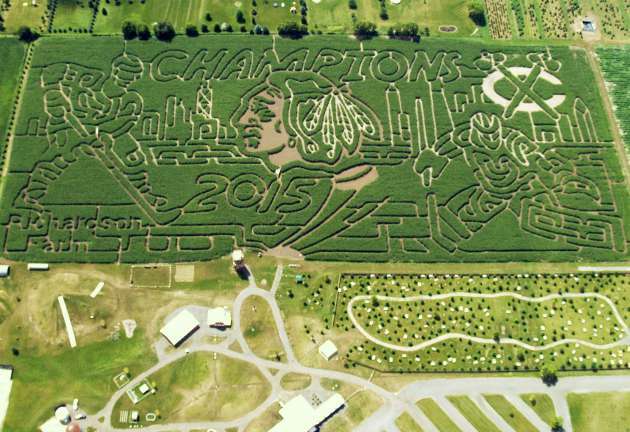 The dog days of summer are here and corn stalks are high, meaning it is time for corn mazes, and 2015 seems to have a bumper crop (sorry) of sports-related mazes. Editor's Note: With Washington Redskins quarterback Kirk Cousins getting a corn maze in his honor in 2016, here's a recap of our earlier story on such fields. 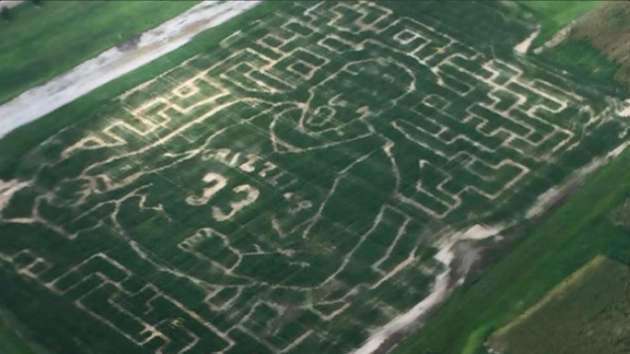 The crop labyrinths stretch from Portland to Buffalo this year, so sports and agriculture fans from every region can hop in the car and enjoy getting lost in, say, a maze designed to look like Rex Ryan’s face. 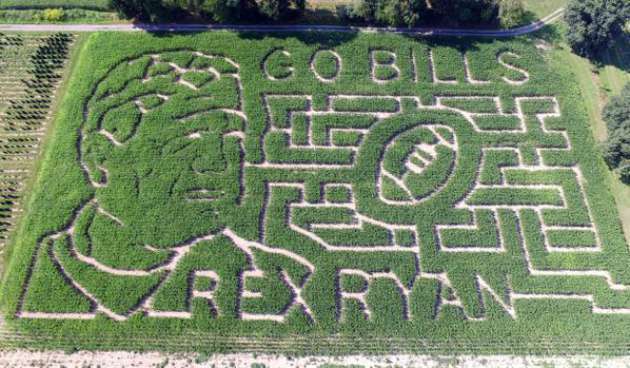 The farmers of Western New York decided to welcome new Bills coach Rex Ryan to the region with a maze engrained with the coach’s face, at Stokoe Farms in Scottsville, N.Y. Ryan was kind enough to stop by to get lost in his own face. 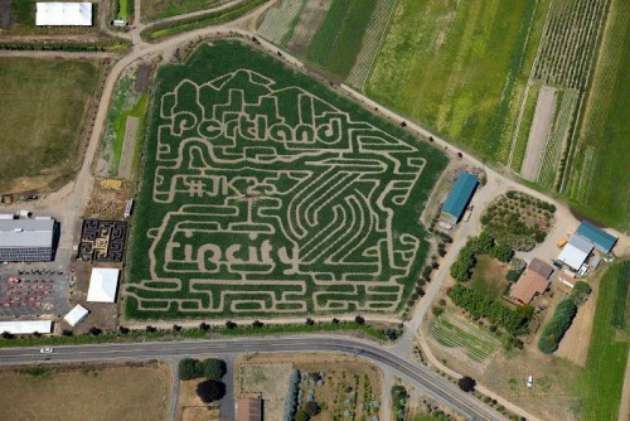 Trailblazers great Jerome Kersey died earlier this year at 52, and to commemorate the career of the Portland star Bella Organic Pumpkin Patch & Winery has added “JK25” to its maze, which also features the team’s Rip City logo. ​Grizzlies big man Marc Gasol signed a contract to stay with Memphis for the next five years this off-season, and in addition to $100 million, he also gets a crop maze, from Agricenter Memphis. 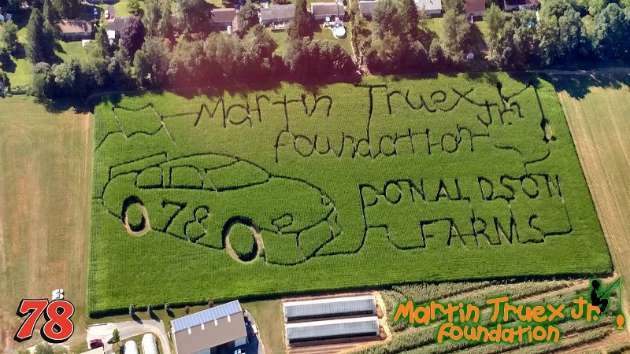 The Martin Truex Jr. Foundation advocates for a variety of children’s charities, and the NASCAR driver and his philanthropic arm have now been honored with a corn maze at Donaldson Farms in Truex Jr.’s home state of New Jersey. 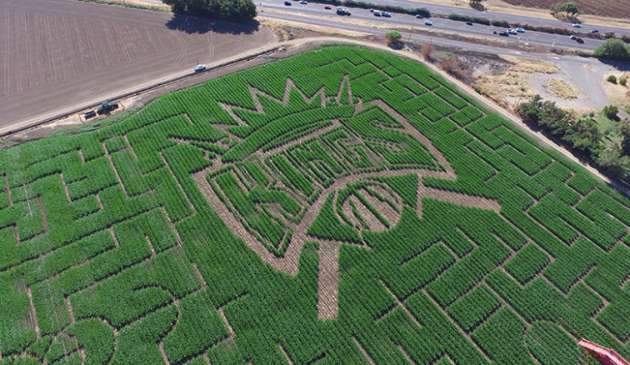 Since DeMarcus Cousins and new Kings coach George Karl seem like they could use some bonding time, maybe the pair should tackle the Cool Patch Pumpkins farm in nearby Dixon, Calif., which prominently features the team’s logo this year.